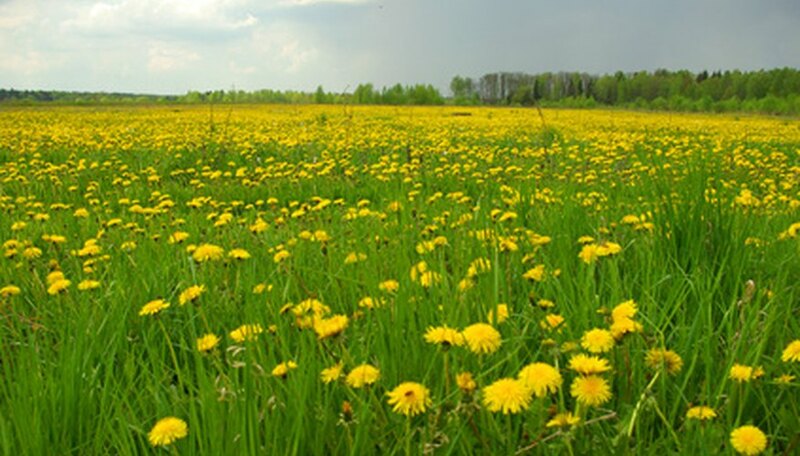 An open field of grass and wild flowers is beautiful and beckons many to spread out a blanket for a picnic. Capture the moment on canvas with watercolors using these step-by-step directions. Using a handful of colors and 4 brushes, the wild daisies and tall green grass against a blue sky can be finished in a day. Allow the painting to dry, then frame for a constant reminder of the beautiful country field. Follow the guidelines to get the best results. 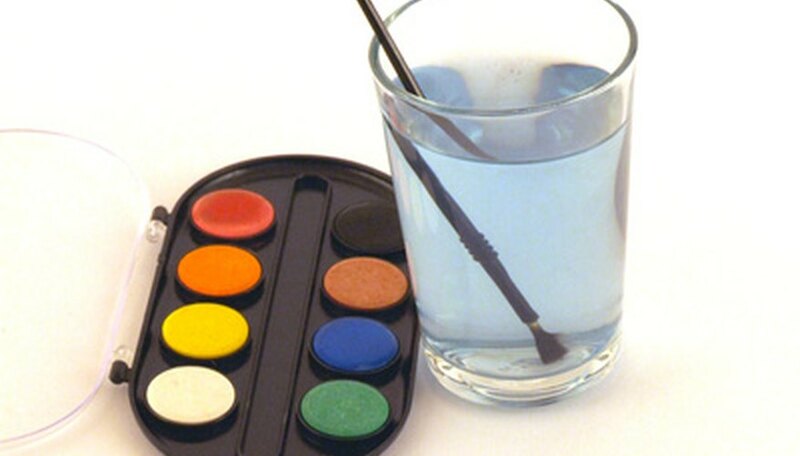 Place a plastic sheet or newspaper on a flat surface, large enough to accommodate a watercolor paper canvas, watercolors, brushes and a glass of tap water to rinse brushes. Place all the brushes in the water to moisten. Draw a line across the paper with the pencil to delineate the sky from the field. Make small circles with the pencil where the wild daisies should be randomly placed. Pencil in where the flowers make a thick grouping at the skyline. Apply the blue, green, yellow, white, and brown watercolor paint to the paper palette approximately 2 inches apart. Mix blue and white together to create a sky blue. Use the 1 inch brush to spread the paint and follow the skyline, then rinse the brush. Mix green with a small amount of brown to make a dark green. Use the 1/2 inch brush to spread the dark green paint all over the field without touching the circles where the flowers will go. Use light, short, up and down brush strokes at the skyline to show trees in the background. Choose the small rounded brush to dot with various dark and light green, leafy shades. The trees will have depth and a bit of color next to the sky blue. Allow the canvas to dry. Use yellow with a small pointed brush to make the petals of each flower. Allow each flower to vary in size and add brown to the yellow, or white to vary the flower's color. Use brown mixed with yellow to create gold, then use the small pointed brush to make the flower's center. Make a steady stream of yellow flowers by dotting various shades of yellow at the skyline. Use the lightest shade of yellow where the sun would come from the left and darker shades toward the right side. Allow the paint to dry. Mix green with a hint of yellow, then use a small brush with a squared tip on its edge to make a blade of grass. Make thin, short vertical lines to create blades of grass that move with the wind. Angle the grass in subtle ways to make the field look more realistic. Avoid covering the areas where the flowers have been placed. Use the damp washcloth to pick up watercolors on the paper that may have spread too wide. Remove unwanted colors by dabbing at the wet surface with a clean damp cloth. Allow to dry before painting over the spot.